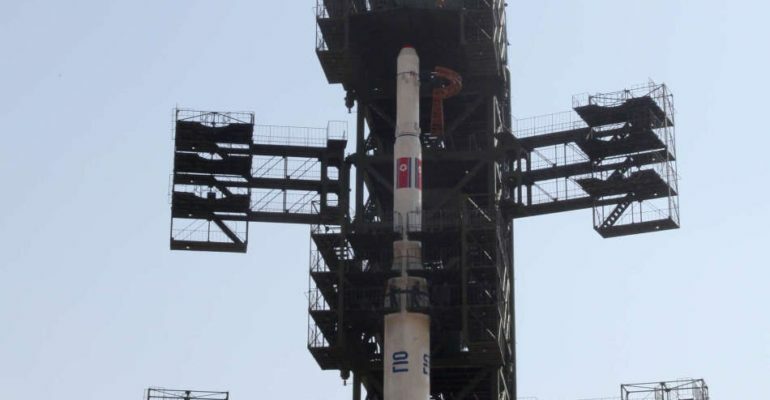 The Taepodong-2 is suspected of being North Korea’s first Intercontinental Ballistic Missile (ICBM). The Taepodong-2 is a multi-stage rocket with a liquid propellant. It has never had a fully successful test. It is believed to have a range of at least 5,500 Km. The Taepodong-2 has an estimated payload from 700-1,000 Kg. This missile still requires a conventional launch pad, and preparations for its launch are highly visible. The range on the Taepodong-2 would allow North Korea to strike Japan, Guam, Hawaii, and possibly Alaska and the continental United States. In South Asia and Oceania, North Korea would also have the capability to strike at India or Australia. This weapons system shows the ambition of the North Korean missile program. According to the Department of Defense, North Korea “reaffirm[s] its need to counter perceived U.S. “hostility” with nuclear-armed ICBMs.”  Despite the failed test launches, each successive test showed an increasing capability by North Korea to develop ICBM technology. Click here to see a list of the Taepodong-2 tests. “Taep’o-Dong 2 (Td-2),” Federation of American Scientists, accessed June 12, 2014,http://www.fas.org/nuke/guide/dprk/missile/td-2.htm. Ballistic and Cruise Missile Threat,” Air Force ISR Agency, 2013, accessed June 12, 2014,http://www.afisr.af.mil/news/story.asp?id=123355694. Daniel Pinkston, “The North Korean Ballistic Missile Program,” Strategic Studies Institute, accessed June 12, 2014,http://www.strategicstudiesinstitute.army.mil/pdffiles/pub842.pdf. Taep’o-Dong 2 (Td-2),” Federation of American Scientists, accessed June 12, 2014,http://www.fas.org/nuke/guide/dprk/missile/td-2.htm.